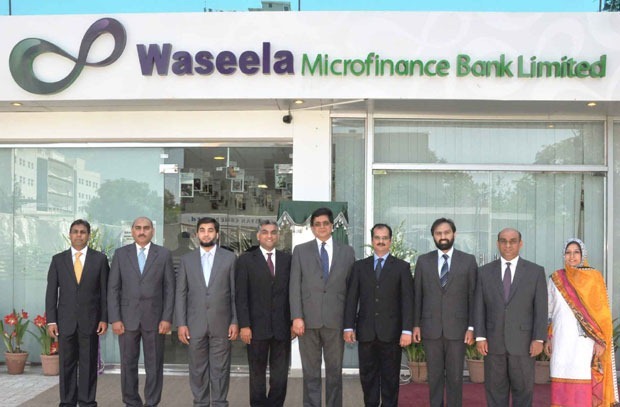 Waseela Microfinance Bank Limited (WMBL) announced the commencement of its operations in Pakistan with the opening of its first branch in Islamabad. This commercial launch of its first branch in Islamabad (F8 Markaz) could be be termed as a soft launch with limited products in offering. Easypaisa would be relieved to see this tiny launch by Waseela Bank. Sure they have secured a better market placement with huge competing difference for others to fill. Waseela Bank is yet to get its website live, in fact its showing “Coming Soon” message on it, while we are told that product information will be communicated to us by week end. Waseela Bank said that product portfolio will include flagship service for branchless banking, which is likely to surface in two to three months from now. Waseela Microfinance Bank has been established to cater the need for banking and financial services that are easily accessible for the unbanked and under-banked. Waseela Microfinance Bank Limited said that its goal is to serve lower-income groups by providing structured financial services suited to their needs. WMBL is a fully owned subsidiary of Orascom Telecom Holdings, and a sister concern of Mobilink – Pakistan Mobile Communications Limited (PMCL). AOA, GHAZANFAR SIR, REALLY FELT SO HAPPY TO SEE YOU AND I WOULD LIKE TO CONGRATULTE ON ANTHORHER MILESTONE OF YOUR LIFE. I HAVE ALREADY WORKED IN PRIME COMMERCIAL BANK LTD. I WOULD LOVE TO SAY PROUDLY THAT I HAVE ATTENED SO MANY TARAININGS OF U . WISH U ALL THE BEST SIR.